“There is a fine line to walk when writing for children about the horror and deprivation of war, especially when that story is about a child of the same age. 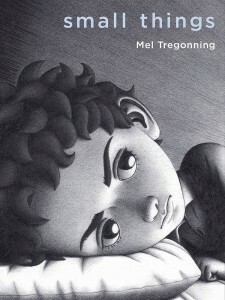 The author needs to inspire empathy and understanding without causing anxiety for the young readers. 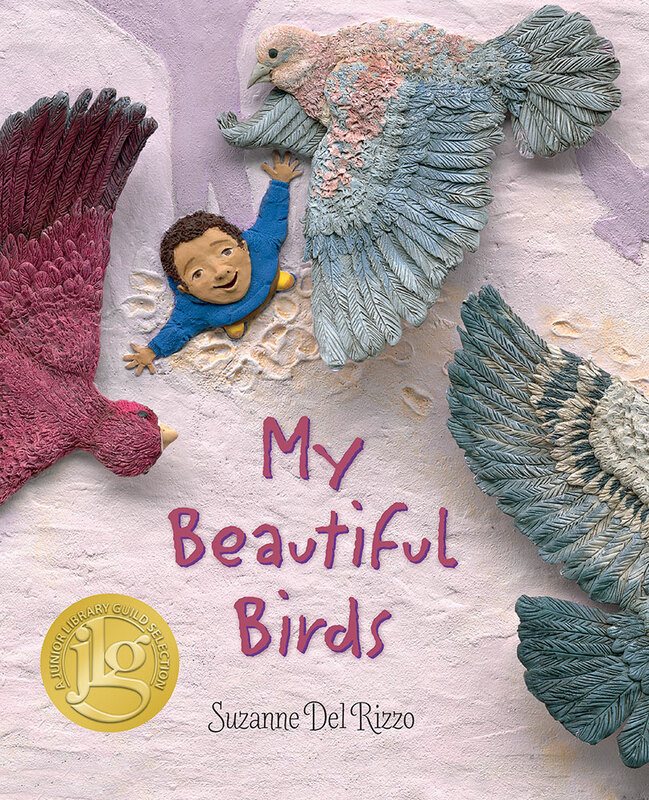 In My Beautiful Birds, Del Rizzo has done a masterful job of straddling that line and in doing so has not only given a beautiful story, but also a teachable moment for kids ages 4-10…. I am not even going to be shy about admitting that I had no idea what this book was about when I picked it up. I simply judged this book as ‘need to read’ by the positively stunning artwork on the cover, art that has been perfectly described as dimensional illustrations. I am fond of using a euphemism for ‘leaping off the page’ when it comes to talking about art in children’s books, but that is such pale terminology for what this book offers. If there were no text to tell the reader what is happening in the story, the reader would still be pulled in to Sammi’s world; Birds fly, the smell of smoke fills the air, you can feel the grit of the sand and the hear the rasping of canvas tents. Sammi’s fears and hopes have been rendered in infinite detail with this beautifully textured sculpted art. The war in Syria and other parts of the world are in the news almost nightly. In addition to being a wonderful story, this book can also be a tool to explain to little ones about the war and the people it affects. 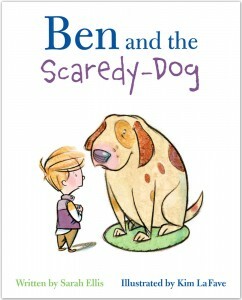 It is told in a way that is completely accessible to kids and adults alike….